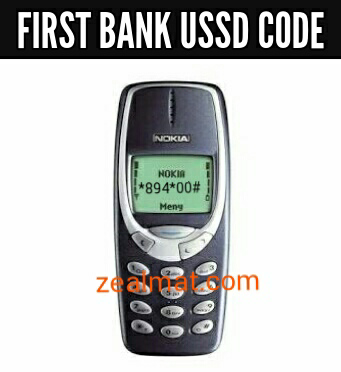 Using the First Bank USSD Code enables you to check how much money you have in your bank account without the need of internet connection. Always remember that the code works on any mobile phone. So, it is not compulsory you own an Android or iPhone before you can check your Firstbank account balance on your phone because first bank has made it easy and faster for you even without internet connection. Just Dial *894*00# on the phone number that is linked to your First bank account. Most times you might encounter some network issue or if you didn't encounter then, you will receive an sms containing the balance of your First bank account. Having issues with your mobile number? Then I will advice you to kindly walk in to nearest First bank branch to update your bank account profile.